Here in the UK we are a nation of animal lovers which is why pet businesses such as a Cheltenham Cattery or a pet food business are steadily increasing in their popularity over the years. Pets come in all shapes and sizes with cats and dogs appearing at the top of the list. There are many facts about both animals but here are some interesting items about cats that you may not be aware of. Food and water – the variety of food will depend very much on your breed of cat and their preference. But it is important to remember that unless advised by your Vet a cat should have a carnivorous diet. This can be made up of wet or dried food but a cat can not survive on a purely vegetarian diet. Toys – boredom is not good for cats, especially as it tends to lead to mischief. THese toys should encourage your cats natural instincts to scratch and hunt. Cats do not like change. This is why you will find your cat become stressed when you move some of your furniture items around. They prefer things to remain the same and this goes for their daily routine as well. A cat can become irritated if it does not have its evening meal at the same time. This is why routine is incredibly important for a cat. 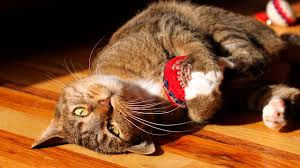 A happy cat will rub their way around your furniture, your home and you. 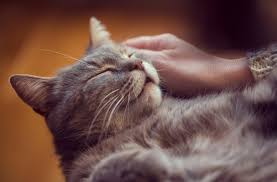 When a cat is happy they share their scent by rubbing the glands that are naturally found in their cheek areas. This releases oils and a scent that we can not pick up as humans but that you cat and other animals can. You will tend to find a cat rubbing their cheeks on doors and furniture items as well as on your hands, around your legs and even on the side of your face.